The best thing about being in network support, in my experience, was all the exercise. I was lucky that I shared an office with the world's laziest jobsworth, so I got to walk to all corners of the hospital I worked in, while my colleague congealed at his desk and concentrated on growing hairs out of his face wart. Networking's an ugly business sometimes. It's set to become uglier, because, as previously reported, the BYOD revolution has created extra work for the network manager as they struggle to provide the right infrastructure to cope with the iPads, me-too tablets and laptops that are whipped out at any communal spot. The surge in demand for wireless bandwidth will far exceeds the network manager's capacity for building the networks. So they'll have to get their priorities right, which means choosing the right vendor with the best network planning systems and choosing a package that's won't need ripping out and replacing in a year's time. 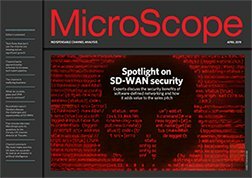 Ian Kilpatrick chairman of distributor Wick Hill, reckons resellers could do worse than throw their lot in with Xirrus, a WLAN vendor that claims to have cracked the longevity problem that haunts networking departments. Wick Hill has signed a distribution agreement with Xirrus because this particular WLAN vendor offers end users an upgradeable infrastructure that can adapt to their growth patterns, whatever those growth patterns turn out to be. Nobody really knows, although a disturbing pattern is emerging, as we shall see later. Meanwhile, by liberating the channel from the drudgery of installation Xirrus is creating more lucrative work opportunities as the resellers offer consultancy and services. “Xirrus provides you with the scalability to adapt when you don't know where you are going next,” says Kilpatrick. That's a pity. The unpredictability of the job was one of the things I liked most. There's a lot of grunt work involved in building and supporting a network. In my case, that meant walking to all parts of the hospital, doing physical work with access points. In my colleague's case, it meant sitting at a desk playing computer games and telling people something wasn't his job. These days it would involve plodding around the campus, auditing every square yard of the territory, to monitor for signal strengths, blackspots and good reception areas. Still, any excuse to get out of the office! The hundreds of lost man hours involved in this labour intensive process will be saved by Xirrus's management network planning software, says Sean Lerner, its VP of international sales. Now you can do a lot of the planning sitting at your desk, staring at a screen (thank goodness I got out of the business). Still, it saves the company a lot of money. One interesting aspect of Xirrus's collective wisdom is that we have gained an insight into the areas where people like to whip out their gadgets and go online. “I have seen people take three gadgets into a meeting and use them all at once,” says Lerner. Oddly, the popular WLAN hotspots are the very places where people go to socialise. I would have expected that people gather in such meeting places to talk to each other. But apparently, cafes, water coolers, canteens, kitchens and smoking areas see a disproportionately large amount of network traffic. So they all meet up to go online! It's at time like this that I feel out of step with the modern world.